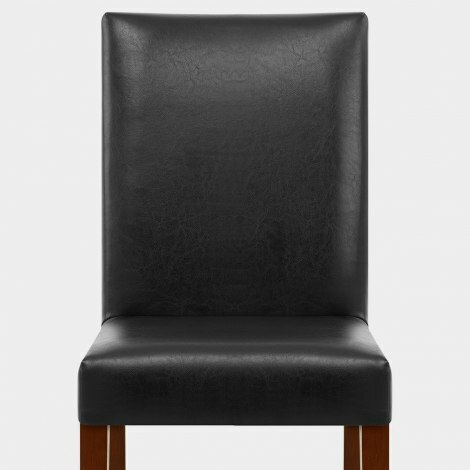 The Chicago Walnut Dining Chair Black is a classic design with the genuine wow factor. Bringing a deluxe appearance to the dining table or even the kitchen, the Chicago combines comfort with impressive style, making it the perfect addition to the home. 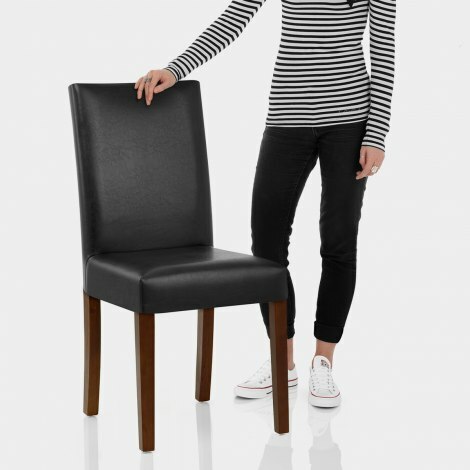 Together with a tall backrest and an opulent black bonded real leather seat, this is a really comfortable item with much needed support to help you relax. Mixing the classical charms of a wooden frame together with a walnut finish, the item brings a number of attributes together to splendid effect. Four strong legs work together to form a solid and symmetrical structure while protective plugs sit below in an effort to keep your floors looking as smooth as possible. "They are soft and very comfortable"
I purchased 2 of these seats, they match perfect with my other dining chairs. They were easy to assemble and delivery was very quick, especially with it being so close to Christmas! They are soft and very comfortable. Easy to order and delivery communication helped. Assembling also easy.